Analyst Patrick Moorhead said in an interview that he thought Microsoft’s Xamarin announcement would be huge news for enterprises, which would benefit immensely from the ability to write in one language and deploy across three different platforms. What’s not clear is whether Xamarin’s tools will take off among consumer app developers, many of whom are already building native apps for iOS and Android written in the home languages of those platforms. It’s a departure from Microsoft’s past mobile strategy, which was anchored in getting developers to build applications for smartphones running Windows. Instead, Microsoft is trying to position itself as a company that provides tools across platforms, Moorhead said. The new Bot Framework, which helps developers make Web services that can converse with humans and take action on their behalf, works across mobile platforms and integrates with popular chat apps like Telegram, GroupMe, Skype and Slack—only one of which comes from Microsoft. 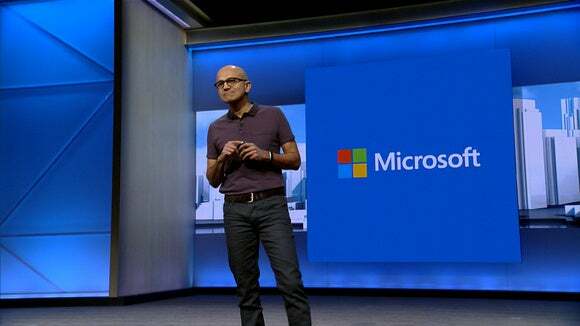 That may seem like an odd move, but Microsoft’s plan is to build tools for developers that will encourage them to consume its cloud services. The Bot Toolkit, part of the framework that includes tools for building bots, includes easy connections to Azure services, including the Language Understanding Intelligent Service, or LUIS, which is designed to help programs understand typed queries. It’s part of Microsoft’s strategy with Azure overall, which allows developers to build cloud back-end systems for their applications even if those apps don’t run on Windows.